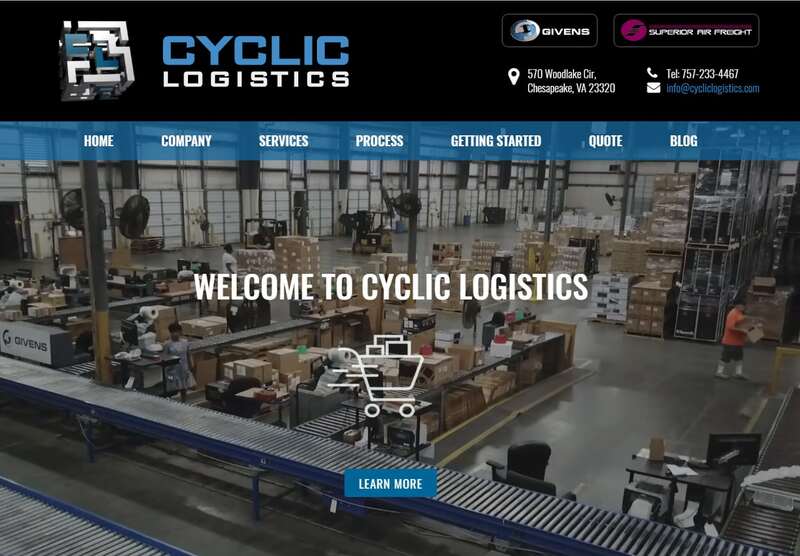 Web Design Logistic Company Consultants | Logistics website featuring 3D Spinning logo animation, professional logo design and video home page banners. The website has custom website info graphics throughout the interior pages. Professional logistic consultants coast to coast choose VISIONEFX. Our services include; custom websites, eCommerce and web applications. We also provide website repair and maintenance plans to keep your website up and running smoothly. Call VISONEFX at (757) 619-6456 or email direct to info@visionefx.net.